Anemia is a condition where the ability of your blood to transport oxygen throughout your body is somehow compromised. People with anemia often feel tired and weak since their cells aren't getting enough of the gas to function optimally. Our blood contains red blood cells, which in turn contain a red molecule called hemoglobin. Each of the four proteins making up a hemoglobin is equipped with an atom of oxygen-binding iron. Anemia can be the result of not having enough red blood cells or these cells not containing enough hemoglobin. In other instances, cells and/or hemoglobin are in good supply but their structure is altered such that they aren't as good at carrying oxygen or are prone to breaking down (e.g. sickle-cell disease). About a zillion things can cause anemia, usually via one of three mechanisms: (1) the disruption of red blood cell production (e.g. not having enough iron or vitamin B12 to fuel this process) (e.g. damage to bone marrow, where the cells are produced, via toxic agents such as anticancer drugs or benzene), (2) the destruction of red blood cells (e.g. 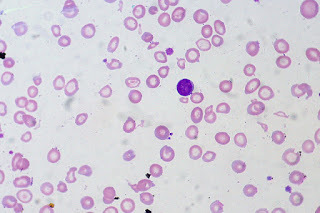 via their infection with the parasite responsible for malaria), or (3) the loss of substantial amounts of blood (e.g. via heavy periods or bleeding stomach ulcers). Along with feeling like crap, a common symptom of anemia is the abnormal loss of skin colour. This extreme paleness, also known as pallor, tends to be most notable when looking at a person's conjunctivae (the lining of the inside of the eyelids), nail beds, or palms. It's the result of there being less red-coloured hemoglobin in the blood flowing near the surface of a person's body, which normally imparts a bit of colour (blushing from embarrassment is just more hemoglobin/blood flowing near the surface of your face). A yellowish pallor tends to be seen in people with anemia due to lead poisoning. A strange illness widely reported between the 16th and 19th centuries was known as chlorosis (Greek khloros = pale green) or green sickness due to the skin of those afflicted reportedly taking on a greenish tint. The mechanism behind this colour change is not known. Green sickness was most common in adolescent females, likely stemming from a severe iron deficiency due to some combination of poor nutrition, rapid growth, stomach ulcers, and/or heavy periods. The illness remains shrouded in mystery, as it disappeared from the medical literature after the 1920s. While anemia was probably the cause of some cases of green sickness, particularly those reported in the 19th century, it's also been suggested it was another name for anorexia nervosa. Incidentally, chlorosis also refers to a condition in plants where their leaves contain abnormally low amounts of green chlorophyll and so have a pale and yellowish colour. 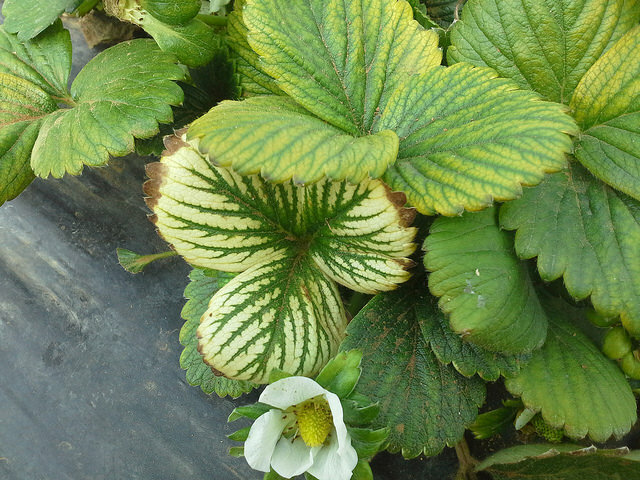 The reduced ability of these leaves to carry out photosynthesis sort of parallels the reduced ability of anemia-impacted blood to carry oxygen, and both conditions can be caused by an iron deficiency. One final skin colour change associated with anemia can result when iron-containing drugs (e.g. iron dextran) are injected into a person to treat an iron deficiency and thus restore hemoglobin production to normal levels. Such an injection can produce a localized blue-grey or brown discolouration of the skin, which I'm guessing is due to a bit of iron being deposited within the skin where it reacts with other elements to form dark coloured compounds (e.g. iron sulfide). Dereure O. 2001. Drug-induced skin pigmentation. Epidemiology, diagnosis and treatment. American Journal of Clinical Dermatology 2(4):253-262. Hernberg S. 2000. Lead poisoning in a historical perspective. American Journal of Industrial Medicine 38(3):244-254.